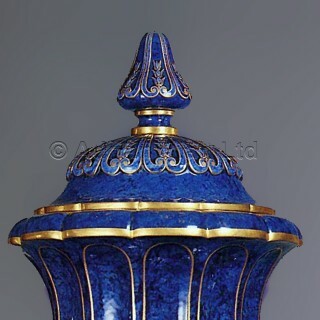 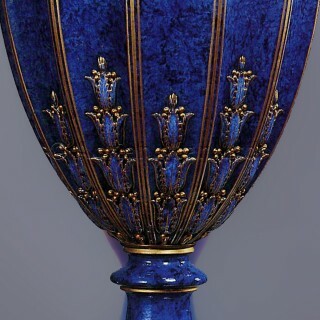 A Rare Pair of Large Gilt-Bronze Mounted Lapis Lazuli Ground Decorated Sèvres Porcelain Vases and Covers, each surmounted by a cone finial above a gadrooned domed cover. 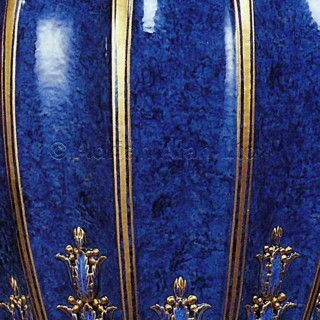 The heavily fluted bodies sit on a spreading circular socle with a laurel border. 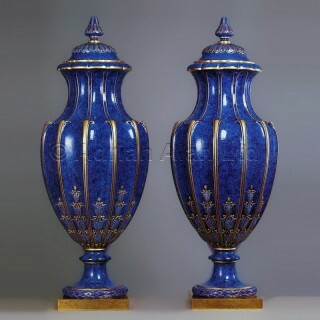 The vases stand on square plinths. 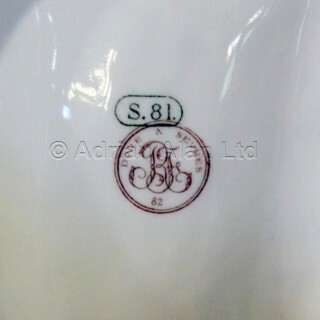 The inside of each vase has the overglaze inscription ‘S81’ and ‘DORÉ À SÈVRES 82’.